Jason Keirstead is an IBM Senior Technical Staff Member and a senior product architect for IBM QRadar. 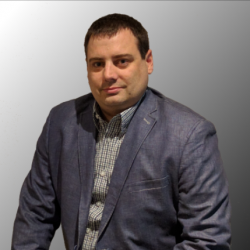 He has over 15 years’ experience in security intelligence, and has been highly involved in the design and development of many of IBM Security's portfolio of security intelligence products. Jason loves to work on challenging problems, and his primary mission is to enable simple, intuitive solutions that help to solve the complex security problems of clients. 1. STIX Patterning: Viva La Revolución!